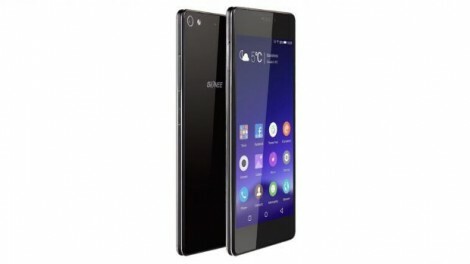 Gionee’s Elife S7 leaked a few hours ahead of its official unveil at Mobile World Congress 2015, but that doesn’t makes the smartphone less impressive at all. The Elife S7 is one of the thinnest smartphones available on the market at 5.5mm. In order to make sure that the it won’t bend Gionee used tough metal to cover the phone’s full body. So if you decided to go for Gionee Elife S7, then you will be getting a slim smartphone with a full metal body. According to Gionee, the metal used on Elife S7 is aviation level aluminum magnesium alloy, which makes the chassis very solid and durable. But Gionee wanted to make sure that that nice and durable metal won’t scratch that easy, so they added Corning Gorilla Glass 3 coating on both front and back sides of the smartphone, just like the Galaxy S6. Moving on to hardware, Gionee Elife S7 is powered by a MediaTek MTK6752 octa-core 64-bit processor clocked at 1.7GHz, which is complemented by 2GB of RAM and 16GB of internal memory. Unfortunately, there’s no word on microSD card slot, so there’s no telling whether or not users will be able to add more storage. We do know that the Elife S7 sports a 5.2-inch AMOLED full HD (1080p) display and a 2750 mAh battery. On the back, the smartphone features a 13-megapixel camera with autofocus, LED flash and full HD (1080p) video recording, while in the front there’s an impressive 8-megapixel camera for perfect selfies. Connectivity-wise, Gionee Elife S7 offers dual-SIM support, 4G LTE, Bluetooth 4.0, Wi-Fi and GPS with AGPS support. It’s also worth mentioning the smartphone will ship with Amigo OS 3.0, which is based on Android 5.0 Lollipop operating system. According to Gionee, the Elife S7 will sell in Europe through Kazam and Allview and will cost no less than €399 ($445) outright. “We believe ELIFE S7 will bring the future of slim smartphones to the next level. To make ever-slimmer phones, compromising on performance and function is pointless. Manufacturers should offer more features benefiting user experience other than just slimness,” said William Lu, president of Gionee.